As many of you know who follow me on Facebook, I was in Tuscon last week for an AMAZING retreat with other Stampin’ Up! Demonstrators. What fun! Lisa Pretto, InkBig Academy, threw a big party (all the important work felt like a party) at Mary Fish’s new home. We were in the lap of luxury. 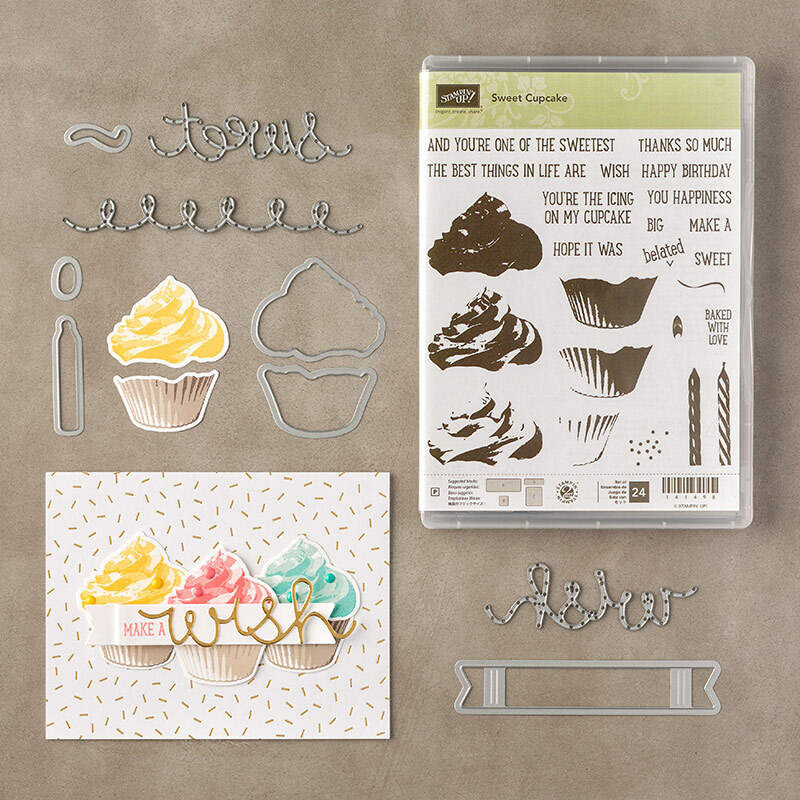 Sweet Cupcake Bundle, Stampin’ Up! A Bunch of Sweet Cupcakes. Since I had 10 finished cards, I needed to create my infinity shot for you. With just 10 and a little bit of time to get these cards photographed, I simply tossed them on the marble table on my hotel patio and snapped the photo. Not to take away from the mystery of the photo, but the center card is lifted up by the small (and clean) ashtray from the table. Yay! Come back! This weekend I’ll be sharing the cards I received when I traded these out! You won’t want to miss that parade of beauties. Delicious colors! Saw a few pics . . . looked great. My friend , that’s a yummy card , love how you left the middle one , lol, your so good …. This card is even more adorable in real life. So glad I got to see it “live” and host you in my home for our Masters Retreat! It was amazing, Mary! Your home is incredible, and the weekend with you and others was top-notch. Loved every moment. So that’s what you pulled off last minute? That would be a two week deal for me. You ARE amazing! This is “oh so sweet”! Love the pinks and grays! Thanks, Tonya! I’m partial to the pinks and grays, too. They just look so sweet with this cupcake. Great job, Brian. I love these cute cards with the bright color scheme and all the layers. I agree with Grace that it would take me two weeks to put those together. I’m sure you had a wonderful time with the group. Thanks, HJ! I’m glad you like the card. Like I told Grace, I’m confident you could crank these out quickly, too. It was a wonderful time!